MSDS (Click Here), TDS (Click Here) An inexpensive solution to coolant mixing problems. Ensures proper mixing and dilution ratios with this venturi mixer. 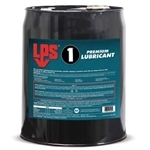 LB-2000 Superior minimum quantity lubricant. Number 1 selling Accu-Lube metal-working fluid for ferrous and non-ferrous metals, including titanium. Excellent oil based tapping fluid for all metals, does not contain chlorine or chlorinated solvents, reduces cutting torque and improves finish. Grotan is a broad spectrum bactericide. It is used for treatment of bacteria often found in metalworking fluids and coolant Magnaflux pentrant aerosol can. Shelf life compliance guaranteed 50% or more. Compatible with ferrous metals, brass, bronze, and copper.